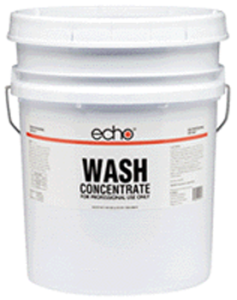 Echo Wash is an economical, concentrated car wash formulated to leave vehicles clean and spotless. It is so rich it can be cut 64 to 1. 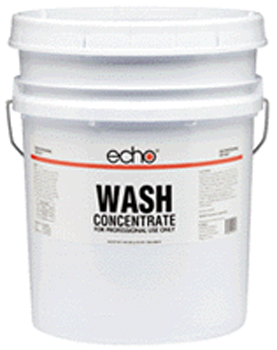 Echo Wash is an excellent alternative to a low-end car wash.
1. Vehicle should be cool and out of direct sun. 2. Pour 4oz into clean empty 5 gallon bucket. 3. Fill bucket with hard spray from hose. 4. Pre-soak vehicle, use wash mitt or horse hair brush. Rinse and dry with soft towel or Castle Chamois.